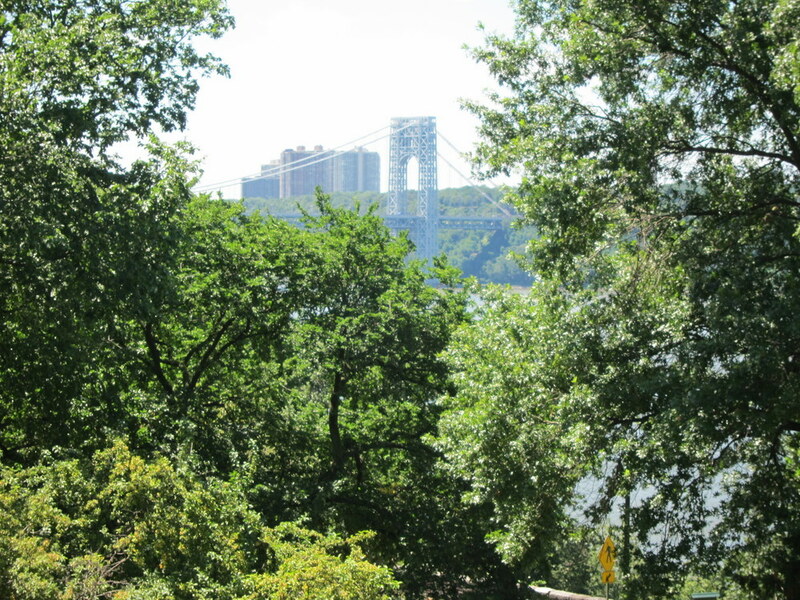 George Washington Bridge from the Cloisters. The buildings are in Fort Lee, where I used to live. Friday was supposed to be another visit with Mary. We were going to walk across the Brooklyn Bridge or go to see The Butler. Life intervened and I was on my own. I went to the Met, photographed some portraits then went to a movie, “The Artist and the Model”. I’m trying to pick movies I won’t be able to see in Pittsburgh. It was a pretty movie, but needed to go deeper, much deeper. Saturday was a total screw-up. Phyllis and I were going to Governor’s Island. I thought we should meet at the ferry terminal, but I wasn’t too clear about where. I got there and couldn’t find Phyllis. I sat and waited for more than an hour watching a wonderful parade of costumed people going to the Island. It turned out Phyllis got there even earlier, got on the ferry and went to the island. By the time I stopped waiting the line for the ferry was too long. I just left and went shopping. Maybe I’ll try again next week. Today I met Ellen on the High Line. We walked the entire finished part and looked at the last part being worked on. It was a perfect day for walking up there, mostly overcast, a few drops of rain, cool and pleasant, making for a great visit. Afterward another movie: Storytelling. Good film, could have had a little more editing. Sometimes we are so in love with our creations we fail to see them clearly. This entry was posted in Art, Friends, New York, Walking by ruthek. Bookmark the permalink. Next time exchange cell numbers in advance. I’ve been known even to call G in a big store if I lose him there. Yes, I can hardly wait to walk the High Line. A perfect reuse project. It’s horrible when you plan to meet someone, you have you’re whole day sorted out and then it turns out to be a complete mess. Still, sounds like you’ve got good weather over there so no summer rain to dampen the spirits!